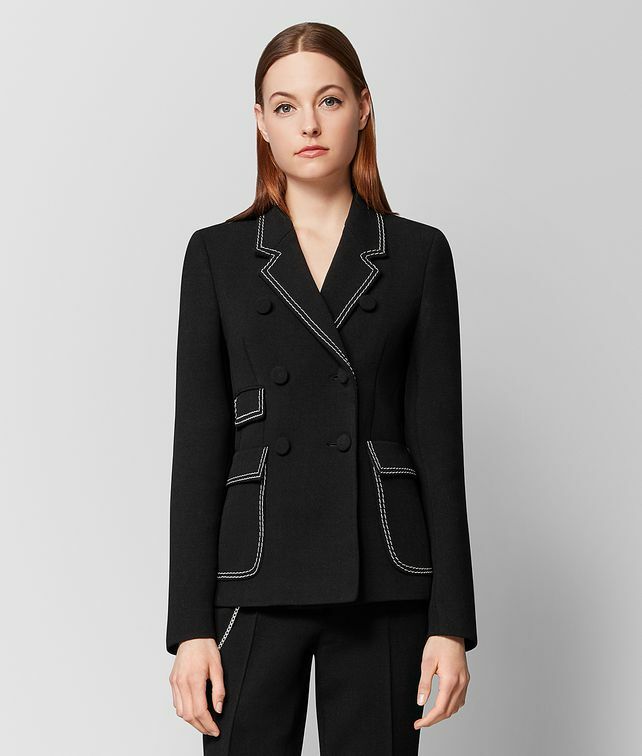 This blazer, featured on the Fall/Winter 18 runway, is inspired by the bold sensibility of New York women. Made of compact stretch wool in a boxy, double-breasted silhouette, it is elegantly tailored yet flattering and easy to wear. The jacket is detailed with a fine silver chain embroidery around the pockets and lapels for a distinctive touch. Pair with the matching trousers to wear as a suit.